Taste Flagstaff. Dine out to grow local food. Each Tuesday from September 5 – October 17, participating restaurants will be using local produce to create special dishes. 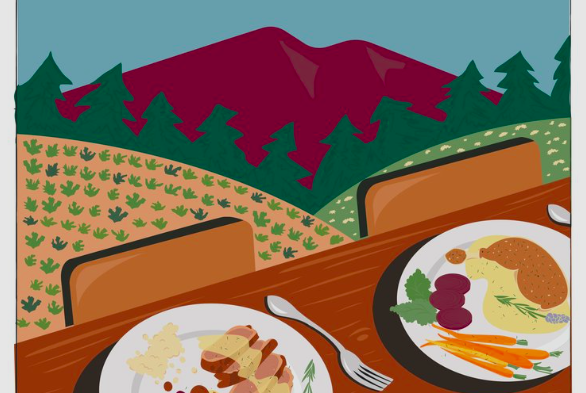 Visit FLG Terroir for dinner on Tuesday, October 3 and 10% of sales will go to support our Flagstaff area farmers who provide delicious, local food! Help us realize our $4,000 goal while enjoying a delicious meal. Sales from Eat Local Tuesdays support Flagstaff Foodlink’s new Grower Grant Program. The Grower Grants make hyper local food more abundant by providing funds to area growers to expand and enhance their food growing operations.